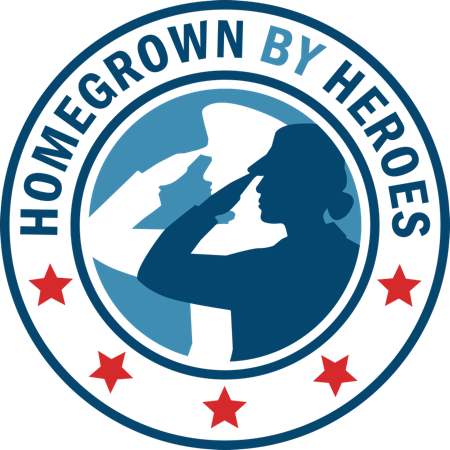 In the past few years, the number of inquiries we receive from veterans or veteran-serving organizations interested in agriculture has grown from a trickle to a steady stream. We’ve heard from people such as Alex Sutton, a young Army veteran living in Jackson Springs. Alex served four combat tours in Iraq, one in Afghanistan, and multiple missions in South America. During his last deployment to Iraq, Alex suffered severe wounds from an IED blast. Today, Alex and his fiancée, Jessie, are using a small grant from the Bob Woodruff Foundation, administered by the Farmer Veteran Coalition Fellowship Fund, to build a poultry hatchery. Alex is now serving his country in a new way: by raising our food. Small farms like Alex’s are a common entry point for veterans and other beginning farmers because they require less land and start-up capital than conventional farms. When grants are available from private foundations, they can act as the little push needed to get things started – providing enough money to build a temporary greenhouse or make a down payment on a tractor. But these grants are not always available. And to be successful over the long term, producers need ongoing access to credit. Unfortunately, few traditional lenders will understand Alex’s business model. Many beginning farmers never secure commercial credit, instead relying on credit cards or high-interest personal loans to pay for seeds, equipment, feed and other expenses. Even the U.S. Department of Agriculture, known as the “lender of first opportunity,” has not offered a loan program specifically designed to meet the needs of smaller farms. The USDA is proposing the creation of a new microloan program – up to $35,000 in start-up capital – targeted to small and beginning farmers and ranchers. The program aims to help these operations progress through their start-up years with needed resources, while building capacity, increasing equity and eventually graduating to commercial credit. It’s also a way for small farmers to build relationships with their local Farm Service Agency offices and learn about additional credit opportunities. It’s a program that could help some of the 20 veterans who gathered at Central Carolina Community College in Pittsboro in early May. They came to learn about raising heritage breeds of livestock. Alex Sutton was there, along with fellow farmer Anna Mann, a combat-disabled Army veteran. Anna runs Chestnut Ridge Farm in the foothills of Appalachia, where she specializes in pork, poultry and eggs. Like Alex, she received a Bob Woodruff Farming Fellowship to seed her operation. 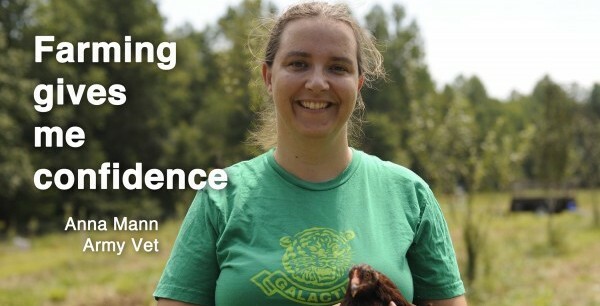 After deployments in Bosnia and Iraq, she says farming has helped heal her spirit. Since 2008, the number of USDA loans going to beginning farmers and ranchers has climbed from 11,000 to 15,000. More than 40 percent of the USDA’s farm loans now go to beginning farmers – a tremendous investment in the future of our nation. The new USDA microloan program can help small and beginning farmers establish credit, learn how to work with a lender, and develop realistic cash-flow projections. Perhaps most important, it lets them know that their country has faith in their ability to develop strong, successful businesses. Support for our military families is a priority for the Obama administration, whether it’s through expanded mental health services or the creation of new job opportunities. While not restricted to veterans, USDA’s new microloan program supports this effort in a way that meets multiple goals – for veterans, our communities and our economy. Kathleen Merrigan is Deputy Secretary of the U.S. Department of Agriculture. Michael O’Gorman is Founder and Executive Director of the Farmer Veteran Coalition.